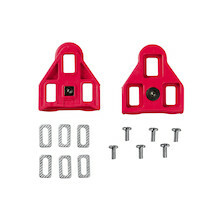 Like all the bike's contact points, careful selection of pedals can make the difference between long happy days in the saddle and sore feet (or aching knees). 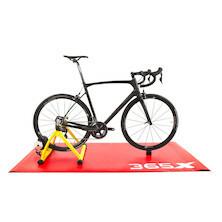 Equally, good pedals can mean efficient power transfer, a secure footing on the bike and above all a hassle-free low-maintenance investment. 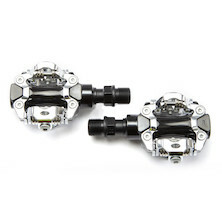 We recommend clipless pedals for maximum power input, although mountain bikers who prefer flat pedals and casual cyclists requiring a traditional clip and strap system are also catered for her. 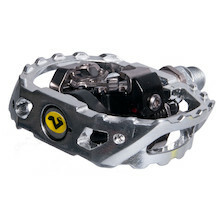 In this section you'll find road and MTB pedals from Look, Time and Shimano, in road (exposed cleat) and SPD (recessed cleat) styles. 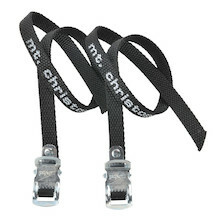 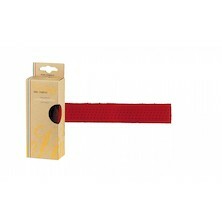 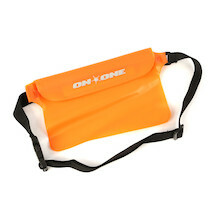 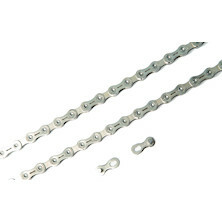 We also stock a full range of pedal accessories including toe straps, toe clips and toe strap buttons. 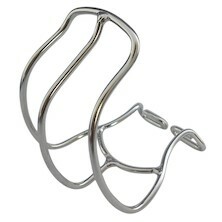 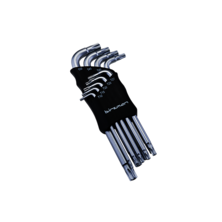 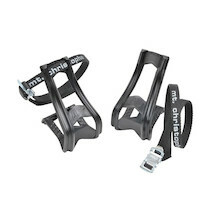 Sturdy Steel Toes Clips will keep your feet planted to those pedals. 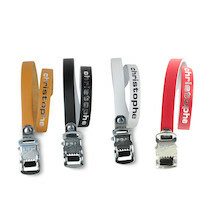 Beautiful leather toe straps, finished with the classic micro adjust buckle. 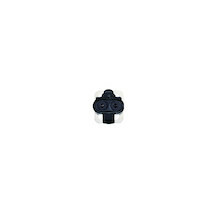 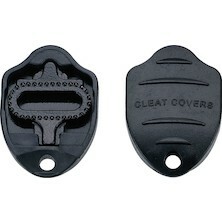 Heavy duty rubber cleat cover for LOOK Delta style 3-bolt cleats. 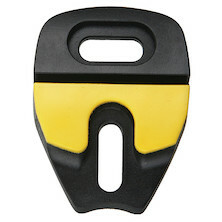 Easy to slip in your back pocket and perfect for protecting your cleats if you do a bit of walking around during a day out on the bike. 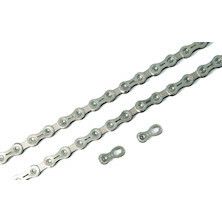 A big favourite with the cycle tourers and racers alike. 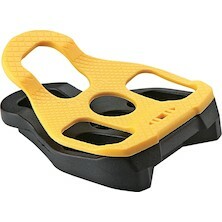 Improves grip when walking and protects your cleats. 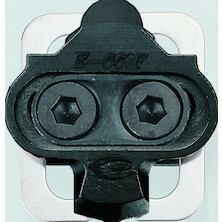 Heavy duty rubber cleat cover for Shimano compatible SPD-style 2-bolt cleats. 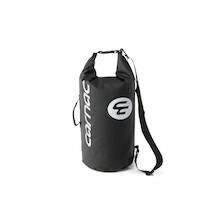 Easy to slip in your back pocket and perfect for protecting your cleats if you do a bit of walking around during a day out on the bike. 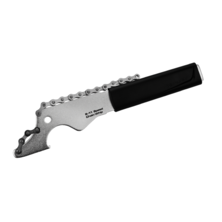 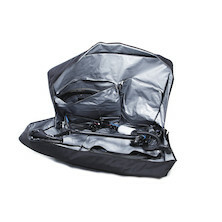 A big favourite with the cycle touring and bike packing crowd. 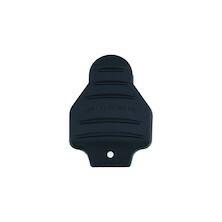 Heavy duty rubber cleat cover for Shimano SPD-SL style 3-bolt cleats. 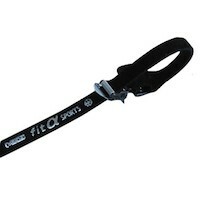 Easy to slip in your back pocket and perfect for protecting your cleats if you do a bit of walking around during a day out on the bike. 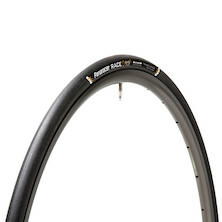 A big favourite with the cycle tourers and racers alike. 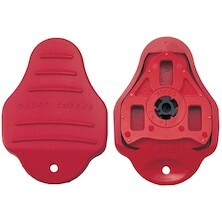 LOOK Delta compatible zero degree float pedal cleats. 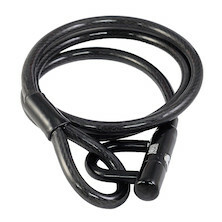 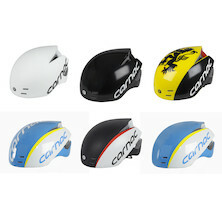 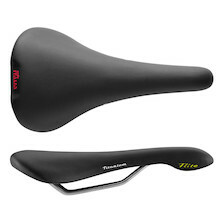 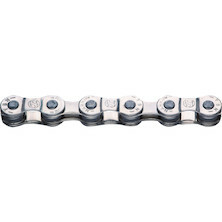 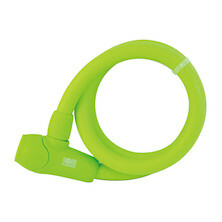 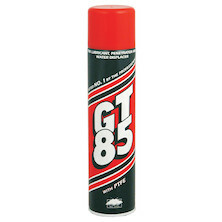 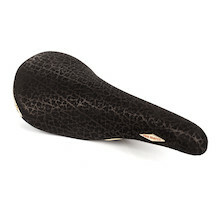 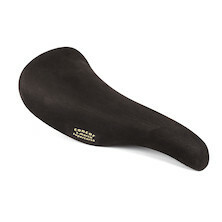 Ideal for riders who prefer that totally locked in feel when riding. 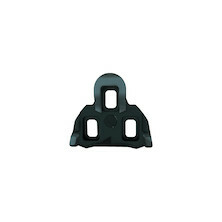 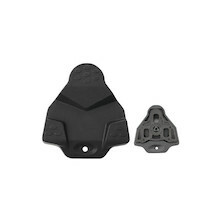 LOOK Delta compatible seven degree float pedal cleats. 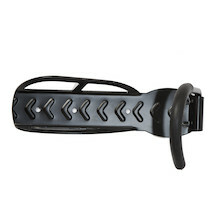 Ideal for riders who prefer a free floating pedal position or who suffer from tendon pain with their current cleats. 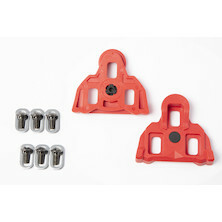 LOOK Keo compatible zero degree float pedal cleats. 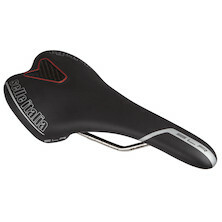 Ideal for riders who prefer that totally locked in feel when riding. 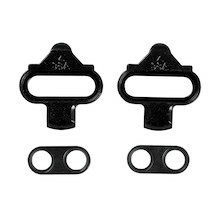 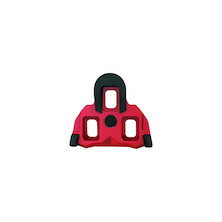 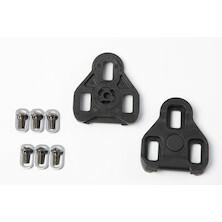 LOOK Keo compatible seven degree float pedal cleats. 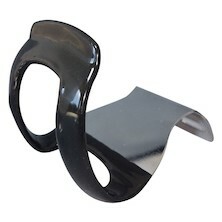 Ideal for riders who prefer a bit of ankle float to protect their knes when riding. LOOK Keo compatible zero degree float clipless pedal cleats with high grip walking sole. 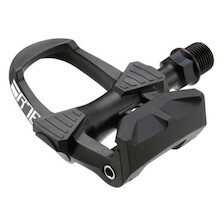 For riders who prefer to feel truly locked into their clipless pedals. 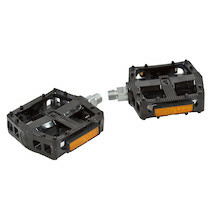 LOOK Keo compatible seven degree float clipless pedal cleats with high grip walking surface. 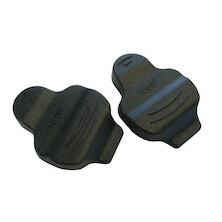 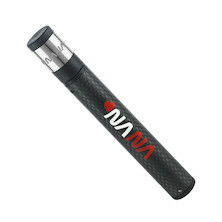 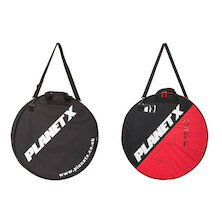 Ideal for riders who prefer a loose pedal feel or suffer from tendon issues around the knee. 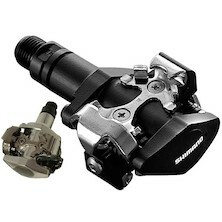 Shimano SPD-SL compatible zero degree float clipless pedal cleats. 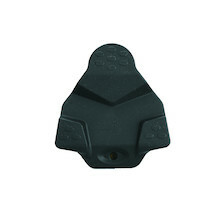 Dual shot moulded these offer great traction allowing you to feel safe when walking around off the bike or putting a foot down at the lights. 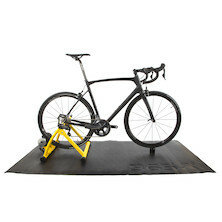 With a full width pedal platform and protection from the extended cage these are the best value for money platform/SPD compatible pedal system that we make. 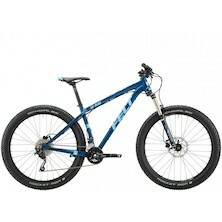 Solid value for money, smooth running bearings and excellent pedal power transfer make this a winner. 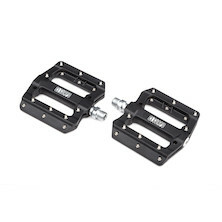 The best value for money double sided SPD compatible pedal system that we make. 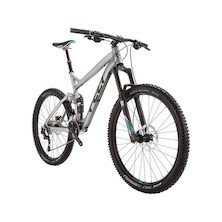 Solid value for money, smooth running bearings and excellent pedal power transfer make this a winner. 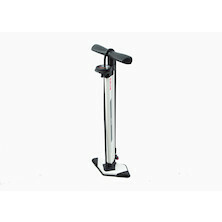 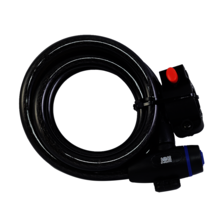 The best value for money Keo compatible pedal system that we make. 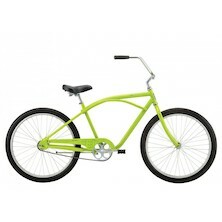 Solid value for money, smooth running bearings and excellent pedal power transfer make this a winner. 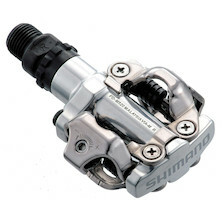 Shimano SPD-SL compatible cleats with zero float, perfect for riders who love that locked in feel. 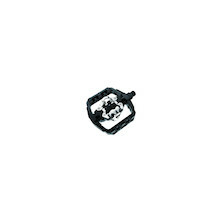 Shimano SPD-SL compatible cleats with 4 1/2 degrees of float, perfect for riders who prefer the loose feel of floating cleats, especially for riders who suffer from tendon pain in the lower leg. 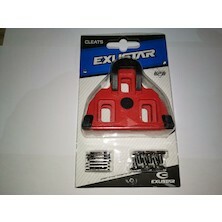 Shimano SPD compatible MTB style cleat, this version has four degrees of float and is comparible to the SH51 cleats from Shimano. 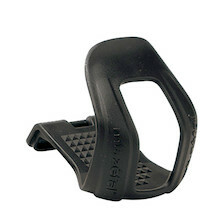 Shimano SPD compatible MTB style cleat, this version has four degrees of float and is comparable to the SH61 Multi-release cleats from Shimano. 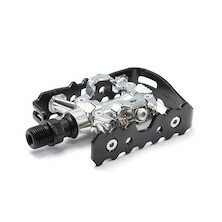 Fairly priced replkacement cleats for all Look Delta compatible pedal systems. 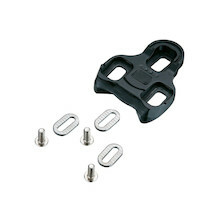 Spare cleats for the Look Keo pedal system available in a number of different float settings. 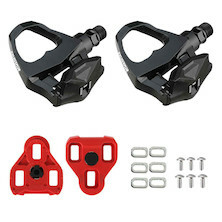 Wide bodied flat pedals that are perfect for cycists who don't want to be clipped into their bike. 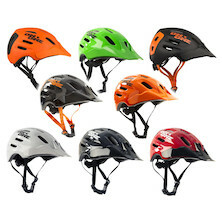 Made from tough polycarbonate and featuring a Boron steel spindle, the VP-577 was designed to perform during the rigors of street BMX riding. 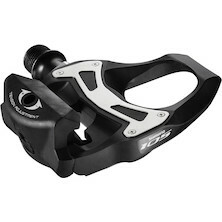 The new VP-C51 cleat brings the angular adjustment necessary for proper fit to mountain bikes. 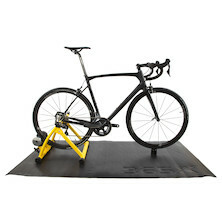 For decades, bicycle fitters have known that angular cleat position is a key adjustment to gain the most efficient pedaling stroke while avoiding stress injury. 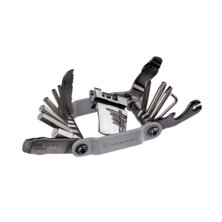 Pro riders have found ways to get the position they need by grinding cleats and shoes, but no more! 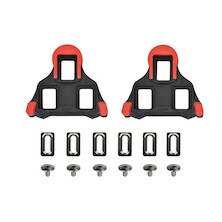 VP cleats now give the rider all the same fitting options that they can expect from high performance road cleats. 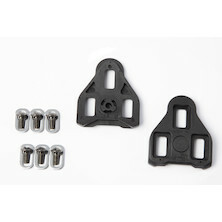 Fantastic quality lightweight Look compatible road bike pedals. 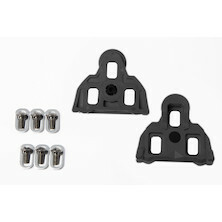 Entry level Look Keo Compatible Road Bike Pedals and Cleats from VP. 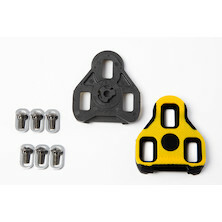 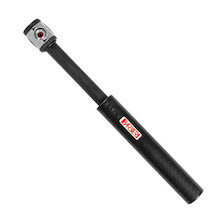 Look Keo compatible road bike pedals. 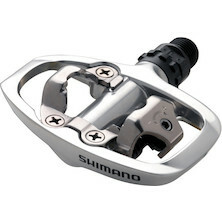 Wellgo WPD823 Alloy Clipless Pedal 9/16"
Modelled after the venerable 525 from Shimano Wellgo's version won't hurt your wallet and offers top notch performance. 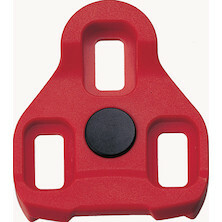 Easy to adjust, a cinch to fit and guaranteed to make your cycling more efficient than flat pedals. 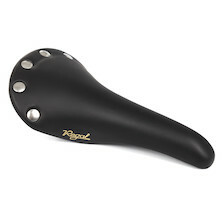 Everyone should ride clipless. 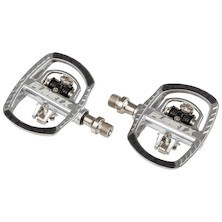 Versatile pedals perfect for recreational riding in trainers or SPD compatible shoes. 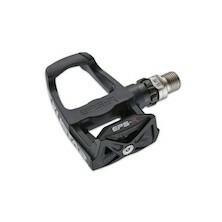 Supremely versatile combo pedal that works with Shimano SPD 2-bolt cleats and your favourite trainers. 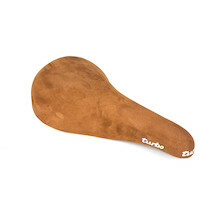 Ideal for commuting, serious riding or just popping out to the pub. 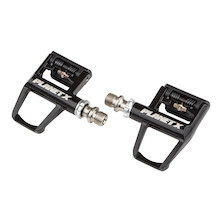 Aluminium bodied KEO compatible road pedals from Planet X. 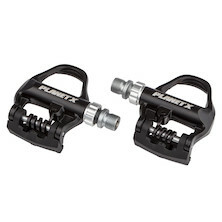 The budget option for riders looking to try clipless pedals without breaking the bank. 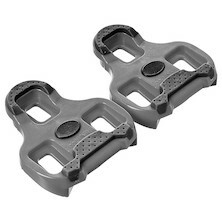 Flip-flop SPD compatible pedal, SPD compatible on one side, trainer and shoe compatible on the other side. 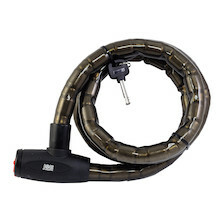 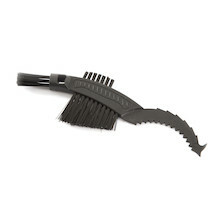 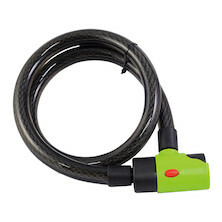 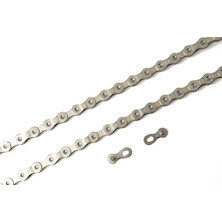 Perfect for your commuter or shop bike. 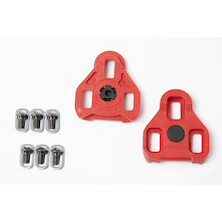 Cast alloy KEO compatible pedal with Cro-mo axle, sealed cartridge bearings and VP's smart split cleat design. 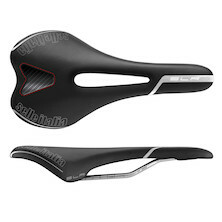 One for racers and committed recreational cyclist who demand quality. 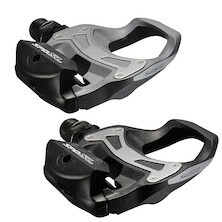 Speedplay tore up the pedal rule book when they reimagined the clipless pedal. 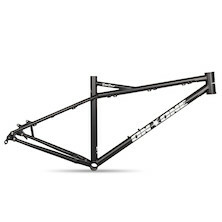 Lighter, more float and incredible lean angles, there's nothing we don't like about them. 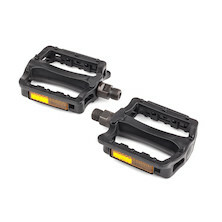 LOOK Keo compatible clipless pedals from Wellgo. 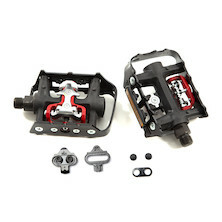 Built with quality Cro-mo axles and a smooth running DU bush/ Cartridge bearing combo these pedals are simply superb. 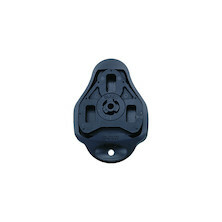 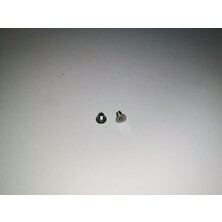 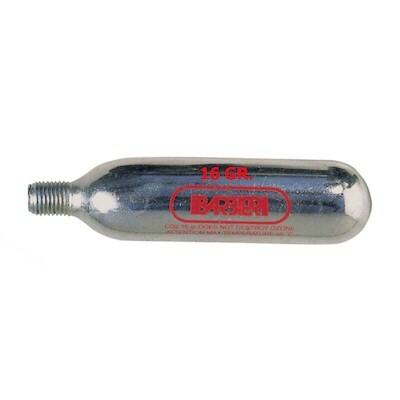 Supplied with dual shot moulded walking cleats with seven degrees of float. 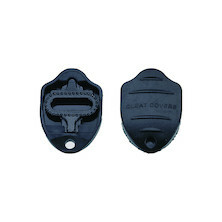 Cleats: seven degree float, grip tread. 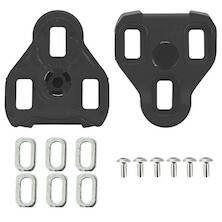 Classic Look Delta cleats and mounting hardware. 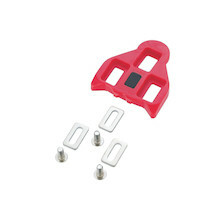 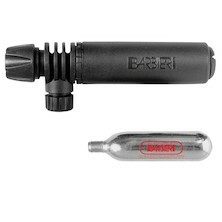 Look Keo pedal cleats from Barbieri, every type of float option you could ever wish for and much cheaper than look's own replacements. 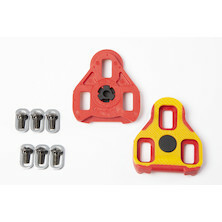 The perfect pedals for your, or your children's first bike. 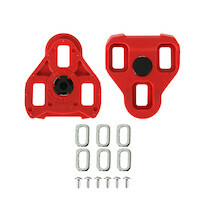 Easy to fit, with plenty of grip and spinning on quality bearings. 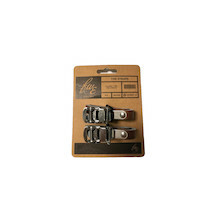 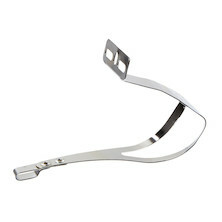 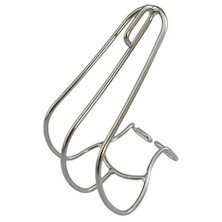 Retro steel clips for your vintage build, made from great-quality materials in France.